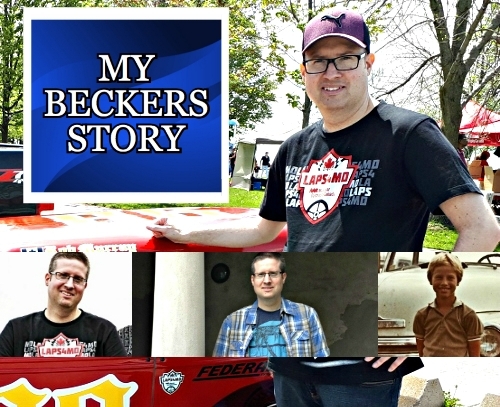 My Beckers Story: Welcome to the My Becker's Story blog! Join me as I share my Becker Muscular Dystrophy Story. My name is Brad Miller and I was diagnosed with Becker Muscular Dystrophy at the age of 10, a condition which limits my ability to walk and gets progressively worse over time. 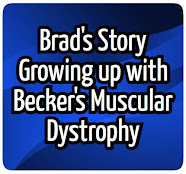 I created the My Becker's Story blog to share my story and to help raise awareness about Muscular Dystrophy. Along with sharing my story I also raise awareness about accessibility and the issues people with disabilities face. 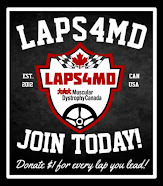 When it comes to the My Becker's Story blog even though the focus is on Becker's Muscular Dystrophy I also want to encourage those affected by other conditions even other forms of Muscular Dystrophy to join in as well. I truly believe when we join "Together" we can make a difference in our communities and raise even more awareness about Muscular Dystrophy and the issues people with disabilities face. The main focus behind the My Becker’s Story blog is to tell my story in hopes that it will somehow help those living with Becker’s Muscular Dystrophy, as well as their families and friends. "Hi there, I also suffer from BMD. Just read the blog and the first half is like reading my personal history!!" "I ran across your spot today, you sure have a lot on here I will have to check in a lot. I also have BMD and everything you say resonates deeply." "I am also in my mid-30's with Becker's from the UK so thought i'd join and say hello! Struggling with all the same things as mentioned in the blog!" "I am new to this group. Just want to say it is nice to meet people who understand." "I love your blog and it is nice to know there are others out there facing the same challenges as I do each and every day." To read my personal story about growing up with Becker Muscular Dystrophy please click on the image below. When it comes to living with Becker's Muscular Dystrophy I intend to take what I have been through in my life and some how use it to help those going through a similar situation. When it comes down to it the main idea behind My Becker’s Story is to help those like me who are living with Muscular Dystrophy, by creating a place for us to connect. I truly believe that we are in this "Together". 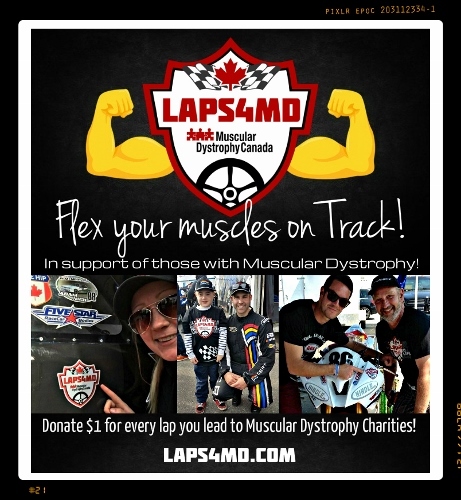 And I believe that with every one’s help that together we can help raise awareness about Muscular Dystrophy around the world. Thank you for visiting My Becker's Story!